"I was worried that you liked me as a girl." 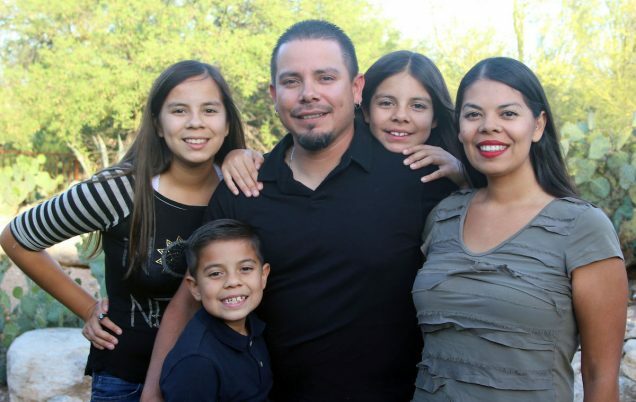 Chris López always knew there was something different about her youngest child, Gabe. Assigned female at birth, Gabe felt like he was a boy. Gabe was always more comfortable in clothing traditionally worn by little boys — cargo pants and superhero shirts — but switched back and forth between these outfits and those often worn by little girls. Just after his seventh birthday, he convinced his parents to let him cut off his long hair and get a mohawk — a haircut he had been wanting for years. Around this time period, Gabe started dressing only as a boy and answering exclusively to “he”. 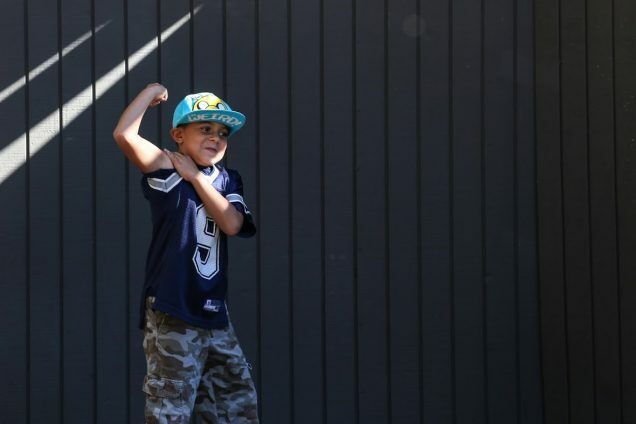 Gabe, who’s nine years old now, has been attending the same school since kindergarten. In the fall of 2016, when he started third grade, he began having others refer to him by his preferred gender pronouns —”he” and “him” — for the first time. In 2015, the López family attended a camp for transgender, gender creative, and gender non-conforming youth in Tucson, Arizona. Gabe and his mother came to the StoryCorps MobileBooth to talk about how that camp transformed his life. A version of this broadcast aired May 1, 2016, on NPR’s Weekend Edition Sunday, and was rebroadcast on March 3, 2017, on NPR’s Morning Edition. Middle photo: Gabe López. Courtesy of Chris López. Bottom photo: The López family. CL: Do you remember when things really changed for you? GL: We went to a camp. And I met three best friends — Luke, Brock, and Cooper. They were all transgender like me, so they all wanted to be boys. Brock taught me how to pee standing up. CL: (laughs) And that was huge for you, right? GL: Yeah. That’s why I say we’re bros. We know each other. CL: Do you ever get scared about what it’s going to be like to grow up transgender? CL: Like if they find out you were born a girl and they have a problem with it? CL: You think they might try to hurt you in some way? CL: Were you ever worried about telling me that you were transgender? CL: Did you ever try to tell me and then change your mind? CL: How many times do you think? GL: I think like, four times. GL: I was worried that you liked me as a girl. CL: Because we used to have a lot of fun? CL: Do we still have fun? CL: So it doesn’t really matter if you’re a boy or a girl, right? CL: I didn’t know that you were dealing with that on your own. If I’d known I would have tried a little bit harder to have that conversation with you, and maybe start it myself. GL: Um, do you worry about me? CL: I worry about how other people might treat you. And it makes me upset to think about what you might have to go through. You amaze me every day. And you can tell me anything, anytime, anywhere, and it won’t change how much I love you. I’ll always have your back.